Discover a new classic! 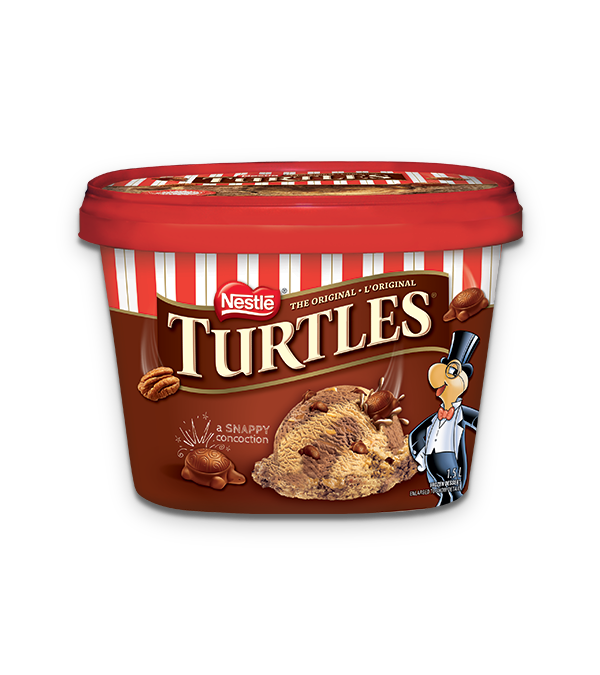 The traditional taste of TURTLES in a delightful frozen treat!
. May contains peanuts and other tree nuts. Treat yourself to a different kind of sandwich today. How do you turn butter tarts into better tarts? TURTLES, of course. Dress your TURTLES up like mousse for Hallowe’en. Serve up a couple of smiles with these yummy mugs. Only minutes to make!